If you care about the latest smartphones, you need to pay attention to Mobile World Congress. The annual show will be held in Barcelona next week, and it's going to be filled to the brim with handsets, tablets and wearables of every shape, size and color. We've compiled all of the major rumors, teasers and official company announcements to give you a glimpse at what's to come. For more from Samsung, Nokia, LG and beyond, follows us after the break and keep it locked here next week for more from MWC. 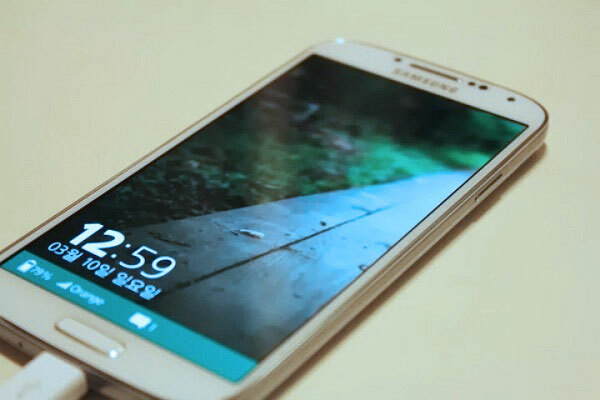 There are enough rumors circulating about the Samsung Galaxy S5 that we're pretty sure it will be the star of the show. With a 2K display, fingerprint scanner, Android 4.4 KitKat and other goodies as likely features, Samsung is hoping for a hit that will generate sales beyond its current 2014 estimate. 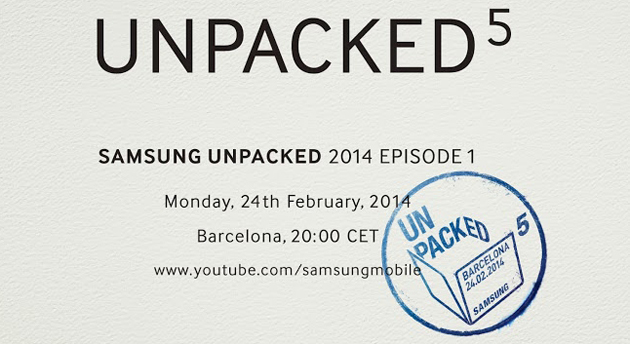 Even though the Galaxy S5 will get the majority of the attention in Barcelona, it may not come all by itself. There's talk of other variants, which won't surprise Samsung fans: The company is known for its gratuitous lineup of Galaxy devices, and last year's Galaxy S flagship was just the first in a family bearing derivatives of the same name. In this case, we're hearing that there will be a 1080p version of the GS5 in addition to the much-anticipated 2K version, but we aren't sure if both will be announced at the same event. There are also rumors about a stylish Galaxy F clad in metal. And let's not forget the company's newfound interest in wearables. According to several reports, Samsung plans to announce at least one follow-up to last fall's Galaxy Gear, if not multiple versions. What's more, there's a chance it will run Tizen. Traditionally Nokia saves some of its biggest news for Mobile World Congress. Recent headline-stealers include its transition from Symbian to Windows Phone in 2011, its first 41MP PureView phone in 2012 and the low-end Lumia 520 in 2013. 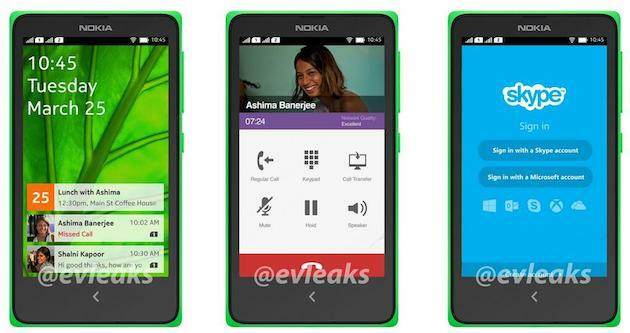 What special, groundbreaking announcement will Nokia make this year? An Android device. In fact, Re/Code reports that no Lumia smartphones will even be revealed at next week's press conference. According to numerous leaks (and a telltale teaser), Nokia's Android smartphone will likely be called the X and come with a forked version of Google's operating system similar to what Amazon did on its Kindle Fires. The pictures we've seen show a device that looks a lot like the latest Asha phones, which makes us wonder if the X is either meant to replace the Asha series, or if it's just another low-cost option for emerging markets. We're also very curious to find out if and why Microsoft signed off on such a project. LG's always easy to predict before trade shows, because it often announces its products ahead of them. 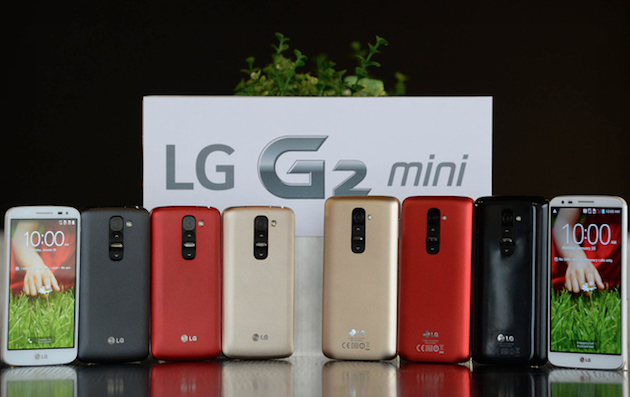 This time, the company pulled the curtain off of the G Pro 2, G2 mini and L Series III. Granted, LG still hasn't unveiled all of the details on the new devices -- it has to keep some element of surprise, after all. But we do know they will all come loaded with Android 4.4 KitKat. The G Pro 2 features a 5.9-inch 1080p display (larger than the original's 5.5-inch screen), 4K recording capability, a 13MP camera with optical image stabilization, 32GB of storage and a G2-esque design, with rear buttons and the knock-to-unlock option. The 4.7-inch G2 mini sadly doesn't inherit many of the original G2's specs: Fans of the smaller size will have to make do with either a Snapdragon 400 processor or a Tegra 4i depending on region (making this the very first phone on the market with NVIDIA's new chip), qHD resolution, 8GB of internal storage and 1GB of RAM. Clearly it's meant for a lower price point, but it's unfortunate that so many corners were cut. As for the L Series III, it's a follow-up to the manufacturer's line of budget-friendly devices and comes in three sizes, ranging from 3.5 inches to 4.7 inches. Sony has a few new devices up its sleeves. Problem is, it's wearing a see-through shirt. At this point, it seems to be a lock that we're going to see a new Xperia flagship codenamed "Sirius," although reports indicate that it'll be known as the Z2. 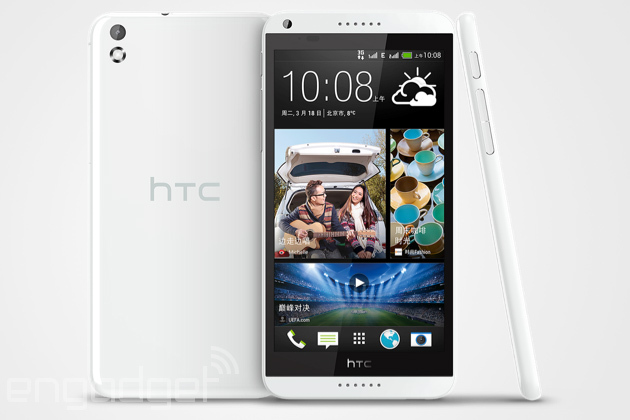 While the specs are still under debate, we've already seen a few leaked images and videos of the smartphone. It appears to be slightly larger than its predecessor and features dual speakers, 4K video recording, a 20MP rear camera and a microSD slot. We've also seen a steady flow of leaked images of a tablet by the same name, and we could potentially see a midrange to budget Xperia smartphone, too. In the past couple of months, Tizen smartphone rumors have come to a screeching halt. Whether it's a result of recent negotiations between Samsung and Google -- which reportedly resulted in their renewed commitment to each other -- or because the fledgling OS simply isn't ready, there's little indication that the Galaxy manufacturer will release a Tizen smartphone soon. A few months ago, we'd heard solid whispers about a phone called the Zeq coming to MWC with Tizen installed. Since then, the rumor mill has significantly dried up. That doesn't mean Samsung is the only phone maker considering Tizen, but it's not a good sign that a large number of previously committed companies recently pulled the plug on the OS. We're still hearing that ZTE's working on a Tizen phone called the Geek, but the company hasn't confirmed that it'll emerge at MWC. That said, Samsung is reportedly planning to show off a new Galaxy Gear smartwatch based on Tizen OS. In other words, the nascent operating system could largely be a non-starter at MWC, or it could surprise us. We've got our money on the former. ZTE went LG's route and pre-announced two devices: the 6-inch Grand Memo II LTE and the Firefox OS-powered Open C. Unlike LG's approach, however, this announcement didn't give us any additional details, aside from the fact that we'll likely see the latest update to Firefox OS on the Open C at the show. HTC isn't releasing its One successor until late March, but it's still coming to MWC with what reps claim is a "fun booth." We're hoping for ice cream sandwiches, smoothies and maybe a waterslide, but in reality, we'll probably have to make do with a midrange handset or two. HTC's introduced one so far: the Desire 8, a 5.5-inch device that will feature a 13MP camera on the back and a 5MP selfie shooter on the front. The company's keeping quiet on other plans, but we suspect the most fun will be had in HTC's secret meeting rooms. It will reportedly show off its upcoming smartwatch to partners and operators. Acer will have a couple new handsets at the show, but power users won't be interested: The Liquid E3 is designed to compete against the Moto G, while the Liquid Z4 aims at even lower price points. Finally, we can expect a new Huawei device or two, starting with the Ascend P7 (and even a wearable, we're told). Panasonic will be at the show, and we've heard whispers that it's gearing up for another try at the European smartphone market. Lenovo may have a few new handsets to show off, and Motorola is holding an event where we hope to hear more about its recent acquisition. You can also plan on something from Alcatel OneTouch, which often has a bunch to show at MWC. Aside from standout announcements by Samsung and Nokia, it'll be business as usual for most exhibitors at MWC. Hundreds of phones will be shown off at the four-day event, but less than a handful will rise above the crowd. We plan on seeing a lot more emphasis on specific storylines like Nokia's acquisition, the future of Tizen and, let's face it, whatever Samsung decides to announce. Follow our coverage of Mobile World Congress on our Events page!